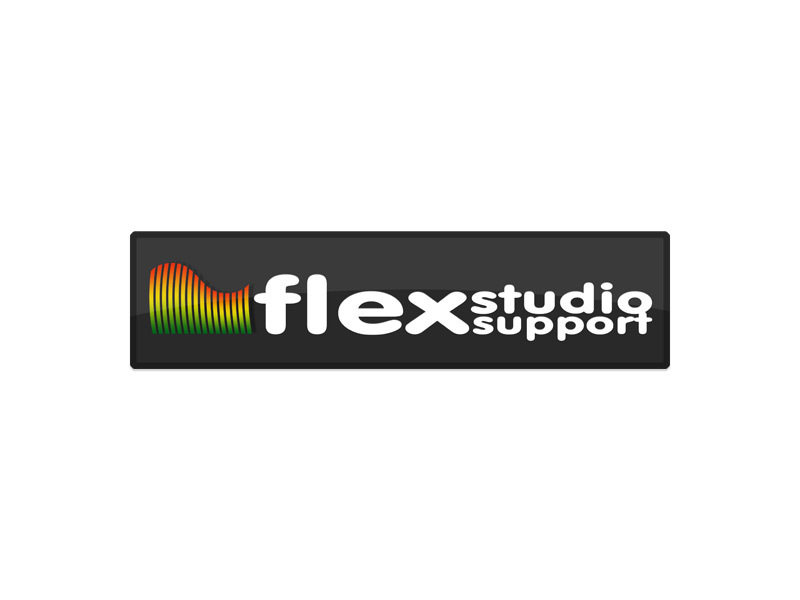 Flex Studio Support is a small company dedicated to helping recording studios with any technical assistance they might need. A clear and simple website with minimal navigation and fuss was the gist of the brief, so as to make the clients’ experience as painless as possible. 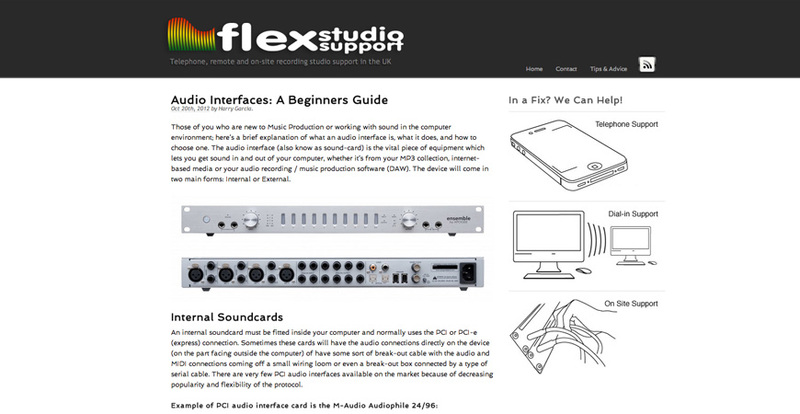 Due to the probability that anyone needing help with their recording studio is already experiencing some frustrating technical difficulties, the Flex Studio Support website is designed to make finding help simple. 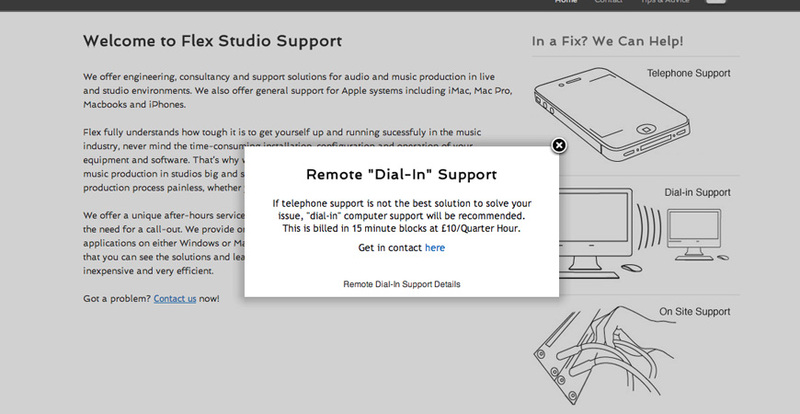 With three steps to a solution clearly communicated at all times and minimal navigation needed to find what you need, this website is designed for easy navigation. 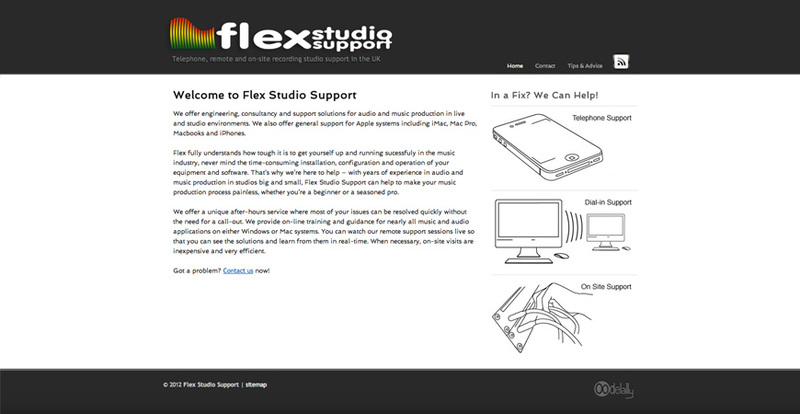 The header and logo were required to convey a clean, friendly and approachable nature of the technical support, with a clear link to audio recording. 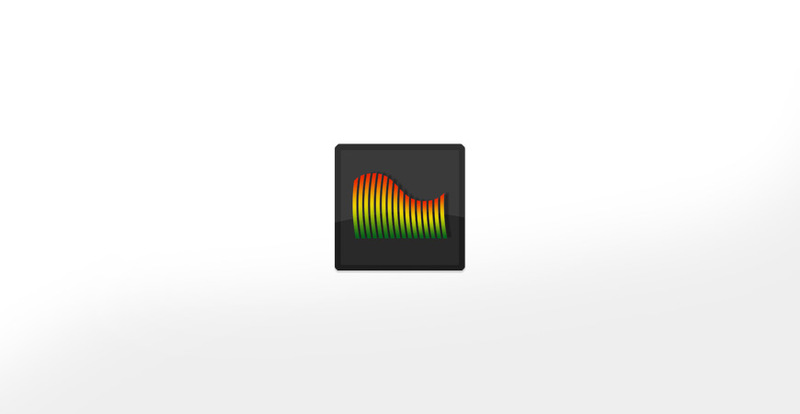 A recognisable icon was created and is used to represent the brand cross-platform on the website, social media and on all Flex Studio Support stationary.